I jumped into reading this book right after I finished reading City of Lost Souls, without reading The Infernal Devices trilogy and even though I knew there would me major spoilers I just wanted to see the series through and know how everything would fall according to place. So yeah nothing stopped me because the series was JUST SO GOOD you really wouldn’t want anything to stand in the way of your reading. 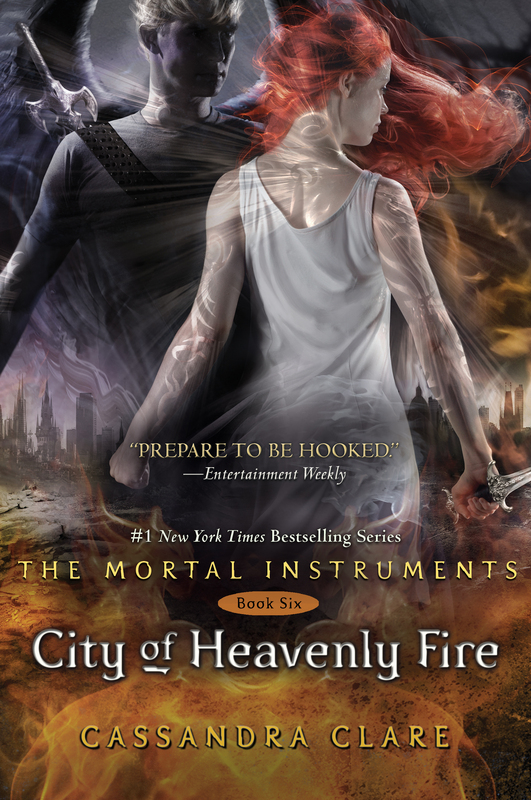 The story started after the events of City of Lost Souls took place although the prologue occured in the Los Angeles Institute. I loved that Clare introduced more new characters here, characters that would surely have their own story after having their stories interlaced with Clary and Jace’s. Emma was such a strong character and she somehow has that Jace vibe that would make you think that she can do so many things at her age which is just 12. Unlike other stories which choose to start slow, this novel started intense and fast and would make you literally fly through the pages. So many things were happening even though it was just the start and one more good thing is that the story plays through all the characters’ eyes and won’t make you feel like you don’t know what’s happening with the other characters because the story just focuses on the main hero/heroine’s POV. But this story lets you know what really happens to everyone and won’t make you feel left out somehow. There was action all throughout the novel and it did not fail its role as the final installment of a wonderful fantasy series. I was happy that all the problems were resolved throughout the novel and even though there were some heartbreaking deaths *sniff* it was still okay because somehow, they didn’t die in vain. Their deaths caused the characters to push through every trial they face and caused them to become even more determined to defeat the evil. Each character underwent a really good character development and they all grew as people together. They learned to love, to trust, to fight, and to become better individuals than they were in the first book. And the ending, it was really justifying. The characters deserved a wonderful ending like that. It feels good to think that after 6 months of struggles and fighting and war, they obtained a wonderful ending like that afterall. Also, I loved the fact that characters of all the books Clare has created had their fates intertwined in this final book. Lastly, Clare did a great job in introducing Emma Carstairs and Julian Blackthorn, who would then become the main characters in The Dark Artifices, which is the series told after the events of The Mortal Instruments. The events of the book were exhilarating and would cause your brows to crease in frustration when everything isn’t happening according to the way you want them to. The primary reason why I am truly happy about the ending they had is because of all the hardships they went through. They deserved it. So much. I am deeply saddened about the death of Jordan Kyle. He and Maia were just getting back on track with each other then suddenly Sebastian killed him in the Praetor House. But then when I knew that Maia was intending to break up with him, it caused me to even be sadder because Jordan just deserved to be loved. He deserved to be happy somehow until before he died. And there, I agree with Bat that at least he died with the knowledge that there were people who loved him. And like Clary and Jocelyn, I cried for the brother she would never have, for the brother who never had the chance to live, and the brother she could have had if only Valentine didn’t do what he did. As for Simon Lewis, I was really sad when his memories of the Shadow world got taken away from him. But somehow, I found it really appropriate for Simon’s character. He cares for his friends too much, and he’s always willing to give up everything for them. And it makes me happy that he has a chance to become a Nephilim too. One with Jace and Clary, Alec and Izzy. I can already imagine him taking up the parabatai ritual with Clary soon enough. Cassandra Clare, you have created such a beautiful world. I will never be ready to see that world end, and thank you, for there will still be another two series as sequels for TMI and TID. I will be waiting for Emma and Jules’ adventures in Lady Midnight. I was satisfied with the ending too 🙂 I’m glad there are going to be more books set in the Shadowhunter world. Nice review by the way!